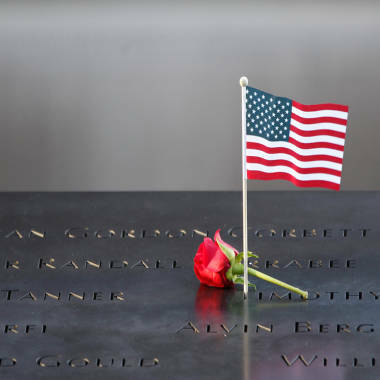 A small US flag stands at September 11 memorial during observances on the eleventh anniversary of the attacks on the World Trade Center, on September 11, 2012 in New York. 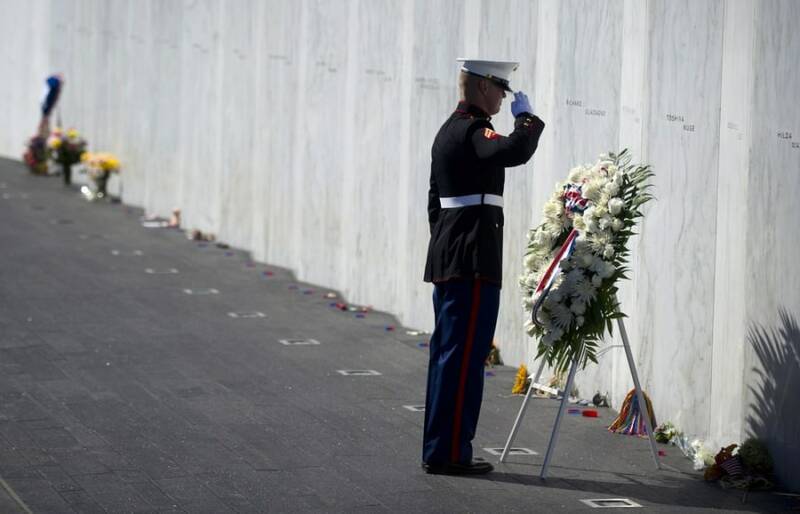 A Marine Honor Guard lays a wreath in front of the Wall of Names at the Flight 93 National Memorial during observances commemorating the eleventh anniversary of the 9/11 attacks, on Sept. 11, 2012 in Shanksville, Penn. Ceremonies at World Trade Center, the Pentagon, and Shanksville, Pa. mark 11 years since the attacks. From NBC News and wire services - Thousands gather Tuesday in New York, suburban Washington and rural Pennsylvania to mark the 11th anniversary of the Sept. 11 attacks, but at the somber day's biggest venue, Ground Zero in lower Manhattan, this year's observance will be missing a key feature from years past: politicians' voices. In a reminder of the global consequences of the attacks, commemorations will also be held abroad. At the Kaia airport in the Afghan capital Kabul, soldiers with the NATO-led International Security Assistance Force prayed during a memorial ceremony for the Sept. 11 victims. Continue reading this post here. Joe Torres of Sayreville, New Jersey, a fire captain from Elizabeth, New Jersey, kneels as he touches the name of his sister-in-law Krystine Bordenabe during memorial ceremonies for the eleventh anniversary of the terrorist attacks on lower Manhattan at the World Trade Center site September 11, 2012 in New York City. 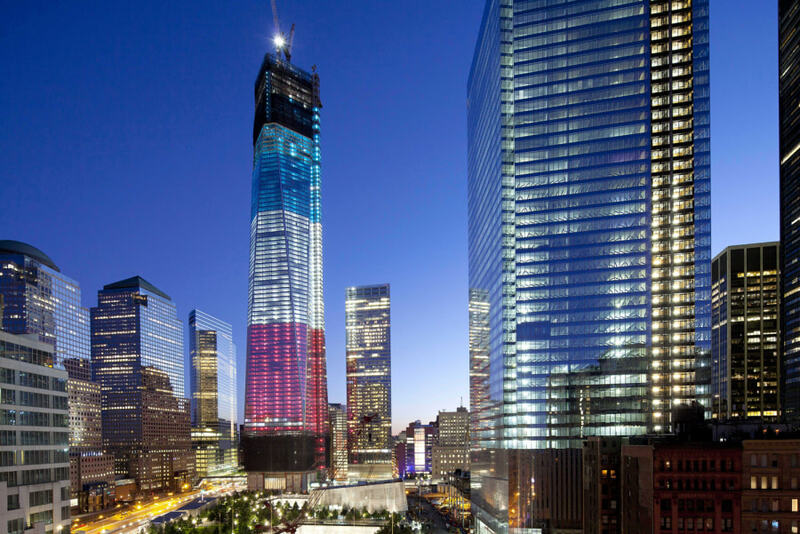 New York City and the nation are commemorating the eleventh anniversary of the September 11, 2001 attacks which resulted in the deaths of nearly 3,000 people after two hijacked planes crashed into the World Trade Center, one into the Pentagon in Arlington, Virginia and one crash landed in Shanksville, Pennsylvania. 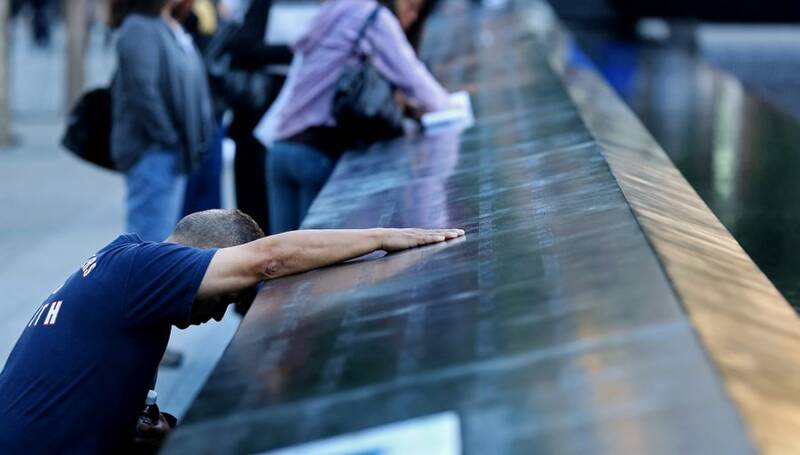 Christine Gonda places a picture of firefighter George Kane in the engraving of his name at the South Pool during memorial ceremonies for the eleventh anniversary of the terrorist attacks on lower Manhattan at the World Trade Center site September 11, 2012 in New York City. 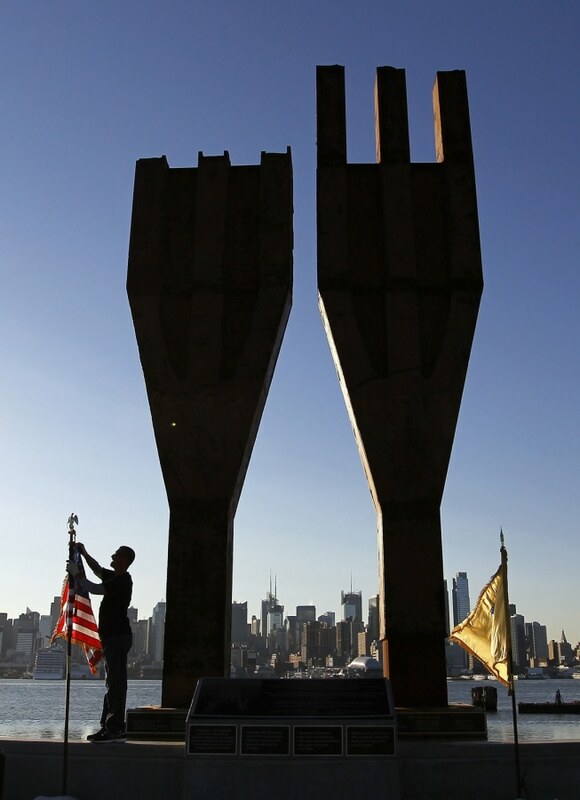 Jeremy Hamilton places a U.S. flag next to a memorial bearing two pieces of steel from the World Trade Center in Weehawken, New Jersey, across from the skyline of New York, September 11, 2012. Thousands gathered in New York, Washington and Pennsylvania to mark the 11th anniversary of the September 11 attacks. 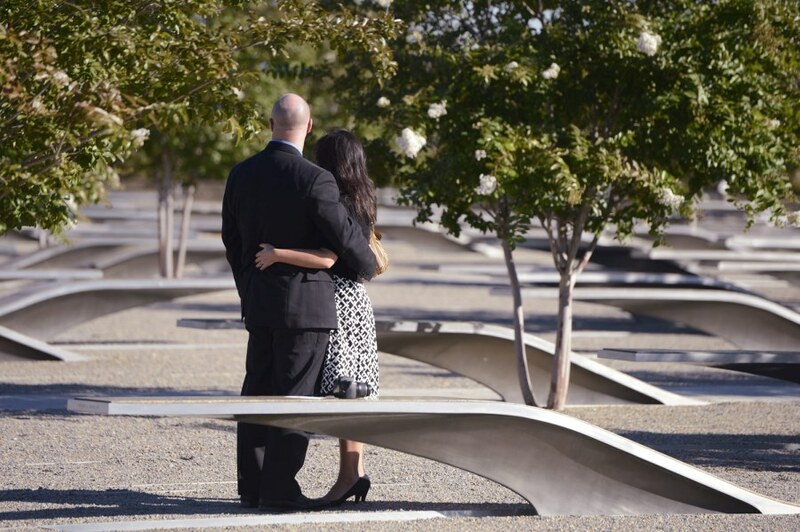 A couple stand near a memorial bench at the Pentagon 9/11 Memorial prior to the 11th Anniversary ceremony of the September 11, 2001 attacks at the Pentagon in Arlington, Virginia. The tower known as 1 World Trade Center, left, the National September 11 Memorial, bottom left, and 4 World Trade Center, right, are bathed in light, Tuesday, Sept. 11, 2012 in New York. 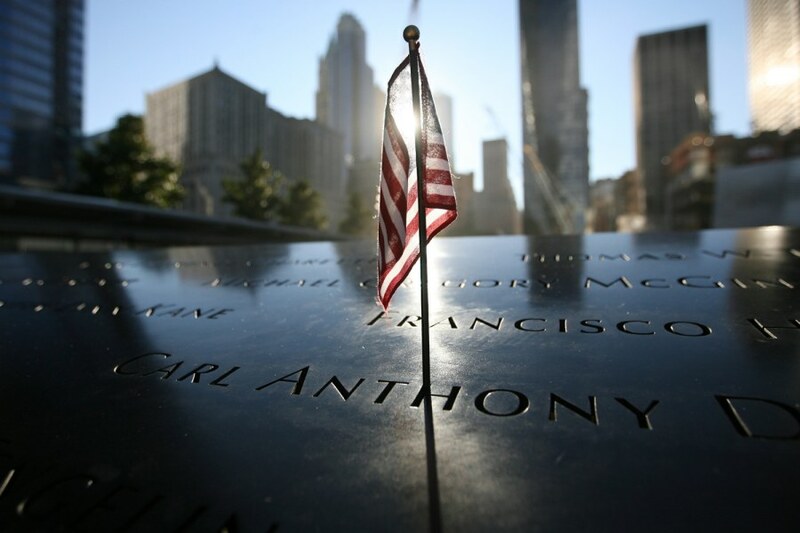 Tuesday is the eleventh anniversary of the terrorist attacks of Sept. 11, 2001.